Karan Kumar Johar (born Rahul Kumar Johar, 25 May 1972),  often informally referred to as KJo,  is an Indian film director, producer, screenwriter, costume designer, actor and television personality who works in Hindi films. He is the son of Hiroo Johar and the producer Yash Johar. Johar has also ventured successfully into other avenues of the entertainment industry. He hosts a television talk show, Koffee with Karan , and a radio show Calling Karan, and appeared as a judge on competition reality shows Jhalak Dikhhla Jaa , India's Got Talent , India's Next Superstars . India's Got Talent is an Indian reality television series on Colors television network, founded by Sakib Zakir Ahmed and part of the global British Got Talent franchise. It is a cooperative effort between Colors and Britain's FremantleMedia. The first episode of India's Got Talent premiered on 27 June 2009. India's Got Talent follows the global Got Talent format, in which contestants audition in front of three judges and a studio audience. Up until the semifinal and final rounds, the judges decide whether or not a contestant advances in the competition. During the semifinal and final rounds, viewers vote on which contestants will advance. Hassaram Rijhumal College of Commerce and Economics, commonly known as HR College, is located in Churchgate, Mumbai. It is run by the Hyderabad National Collegiate Board and is affiliated to the University of Mumbai. It is located adjacent to Kishinchand Chellaram College and shares a building with the K. C. Law College. The former principal of HR College was Dr. Indu Shahani. Currently Prof. CA. Parag Thakkar is the principal in-charge of the college. Prof. Thakkar is also the HOD of Accountancy for degree college. Indradhanush is an Indian children's television series, a mixture of science fiction and fantasy, aired on DD National channel. The series was produced and directed by Anand Mahendroo. It also featured several young actors like Karan Johar, Urmila Matondkar, Vishal Singh, Ashutosh Gowarikar, and Akshay Anand. Raj Kapoor was an Indian film actor, producer and director of Indian cinema. Born at Kapoor Haveli in Peshawar to actor Prithviraj Kapoor– he was a member of the Kapoor family which produced several Bollywood superstars. Yash Raj Chopra was an Indian director and film producer who worked in Hindi films. The founding chairman of the film production and distribution company Yash Raj Films, Chopra is the recipient of several awards, including six National Film Awards and 11 Filmfare Awards. He is considered among the best Indian filmmakers. For his contributions to film, the Government of India honoured him with the Dadasaheb Phalke Award in 2001, and the Padma Bhushan in 2005. British Academy of Film and Television Arts presented him with a lifetime membership, making him the first Indian to receive the honour. Karan Johar entered the film industry as an assistant director on Aditya Chopra's Dilwale Dulhania Le Jayenge (1995), which is regarded as a landmark in Hindi cinema. He then made his own directorial debut with the blockbuster romance Kuch Kuch Hota Hai (1998). The first half of the film centers on a college love triangle between an insensitive boy (Shah Rukh Khan), his tomboyish best friend (Kajol), and the prettiest girl at the college (Rani Mukerji), while the second half centers on the now-widowed boy's attempt to reconnect with his best friend who is now engaged to marry another man (Salman Khan). The film became a major blockbuster at the box office and received mostly positive reviews from critics. Writing for Planet Bollywood, critic Anish Khanna commented that "Karan Johar makes an impressive directorial debut, has a good script sense, and knows how to make a film with S-T-Y-L-E."  It won the National Film Award for Best Popular Film Providing Wholesome Entertainment. It swept most of the major awards at the 44th Filmfare Awards, including Best Film, Best Director, and all four acting awards. Johar's third directorial venture was the multi-starrer romantic drama Kabhi Alvida Naa Kehna (2006), which dealt with the controversial subject of marital infidelity against the backdrop of non-resident Indians living in New York City. The film's plot follows a washed-up athlete (Shah Rukh Khan), whose frustration with his wife (Preity Zinta) results in an extramarital affair with a family friend (Rani Mukerji) who is also unhappy with her marriage to her childhood friend (Abhishek Bachchan). The film was a major success in India and an even larger success overseas. It received mostly positive reviews from critics who praised Johar's departure from the directorial style of his first two films. Rajeev Masand wrote, "Few writers have such solid control over their screenplay as Karan Johar does. Few understand the intricacies of narrative as well as he does. Johar goes from highs to lows, from plateaus to peaks with the ease of a pro. He knows exactly how to turn a seemingly ordinary scene into something special with just that one line of dialogue, or that hint of background music." The script of the film which was co-written by Johar received recognition by a number of critics and was invited to be included in the library of the Academy of Motion Picture Arts and Sciences. Johar's fourth directorial venture was the social drama My Name Is Khan (2010). The plot follows a Muslim man with Asperger's syndrome and his wife, played by Shah Rukh Khan and Kajol, who live in San Francisco and face racial prejudice after the September 11 attacks. The film became a major commercial success, and received rave reviews from critics who praised Johar's unconventional directorial style. Critic Subhash K. Jha wrote that the film "is a flawless work, as perfect in content, tone, and treatment as any film can get." The film won Johar his second Filmfare Award for Best Director. Johar is the host of Koffee with Karan , a celebrity-based talk show where he interviews actors, directors, producers, and other prominent members of the Hindi film industry. The first season aired from 2004 to 2005, the second season aired in 2007, the third season aired from 2010 to 2011, the fourth season aired from 2013 to 2014, and the fifth season aired from 2016 to 2017. Jugal Hansraj is an Indian actor, model, producer, writer, author and a national award-winning director, based in Mumbai. Hansraj started his career as a child actor in the 1983 film Masoom, which starred Naseeruddin Shah and Shabana Azmi. He continued his career as a child actor in films like Karma (1986) and Sultanat (1986). He featured as a model for TV and print as a child and appeared in notable ad campaigns. He made his acting debut as an adult in Aa Gale Lag Jaa in 1994. 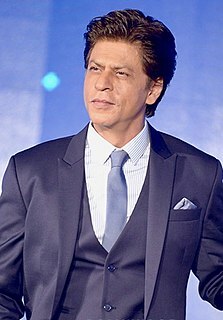 Subsequently, he featured in the blockbusters Mohabbatein (2000), Kabhi Khushi Kabhie Gham (2001) and Salaam Namaste (2005). Nikkhil Advani is an Indian film producer, director and screenwriter. He is one of the co-founders of Emmay Entertainment, a motion picture production company. Nikkhil has worked with famed ecologist Bittu Sehgal and he serves on the advisory board of Save The Tiger’s cause. The Mukherjee-Samarth family is a Hindu Bengali-Marathi family that has been involved in the Bollywood film industry since the 1930s, Shobhana Samarth having first acted in a film in 1935. The Mukherjee family was connected to the Samarth family by Tanuja's marriage to Shomu Mukherjee in 1973. The 44th Filmfare Awards were held on 21 February 1999, in Mumbai India. Karan Johar's directorial debut Kuch Kuch Hota Hai dominated the awards, including a sweep of the major acting categories. Ram Gopal Varma's Satya and Mani Ratnam's Dil Se.. were the other big winners. Kapoor & Sons, also known as Kapoor & Sons , is an Indian Hindi-language drama film directed by Shakun Batra and produced by Karan Johar, Hiroo Yash Johar, and Apoorva Mehta under the banners of Dharma Productions and Fox Star Studios. The film stars an ensemble cast featuring Rishi Kapoor, Ratna Pathak Shah, Rajat Kapoor, Fawad Khan, Sidharth Malhotra, and Alia Bhatt. Kapoor & Sons tells the story of two estranged brothers who return to their dysfunctional family after their grandfather suffers a cardiac arrest. The film was released worldwide on 18 March 2016 and received positive reviews mainly for its direction and performances, especially of Rishi Kapoor, Ratna Pathak Shah and Fawad Khan. Made on a budget of ₹35 crore, the film earned over ₹152 crore worldwide. At the 62nd Filmfare Awards, Kapoor & Sons won five awards, including Best Supporting Actor for Rishi Kapoor, Best Story, and Best Screenplay. It also was nominated for Best Film. Ae Dil Hai Mushkil is a 2016 Indian romantic drama film written and directed by Karan Johar. It stars Ranbir Kapoor, Anushka Sharma, Aishwarya Rai Bachchan and Fawad Khan, tells the story of unrequited love. It was released on 28 October 2016 during the Diwali festival. 1 2 Basu, Nilanjana (16 December 2018). "Koffee With Karan 6: Ayushmann Khurrana, Vicky Kaushal Discover Karan Johar Was Originally Named As..." NDTV . NDTV Convergence Limited. Retrieved 16 December 2018. ↑ "KJo meets Kareena on sets of Heroine" . Retrieved 8 June 2012. ↑ Majumdar, Anushree (16 October 2016). "P.O.W. director Nikkhil Advani: I will take a position but I don't want to become a jingoist". The Indian Express . Indian Express Limited . Retrieved 19 September 2018. ↑ "Karan Johar goes back to college". Hrcollege.edu. 22 September 2009. Retrieved 27 December 2016. ↑ Nandy, Pritish (9 December 1998). "'All the women I meet keep telling me how much they cried in the film! That's what made it a hit, I guess.'". Rediff.Com. Retrieved 6 March 2008. ↑ V S Srinivasan (15 October 1998). "'I'm a little scared'". Rediff.Com. Retrieved 6 March 2008. ↑ Khan, Rubina A (7 October 2006). "Karan to drop letter K". The Times of India. ↑ Monica Varma (9 December 1998). "Karan Johar becomes father to TWINS through surrogacy!". Zoom (TV channel). Retrieved 5 March 2017. ↑ "Alia Bhatt to Priyanka Chopra: Celebrities Congratulate Karan Johar on Becoming a Father". News18. Retrieved 6 March 2017. ↑ "Bollywood showers blessings on Karan Johar's twins". Hindustan Times. Retrieved 6 March 2017. ↑ Khanna, Anish (16 October 1998). "Film Review: Kuch Kuch Hota Hai". Planet Bollywood. Archived from the original on 13 August 2012. Retrieved 25 August 2014. ↑ Adarsh, Taran (11 December 2001). "Kabhi Khushi Kabhie Gham". Bollywood Hungama. Retrieved 25 August 2014. ↑ Masand, Rajeev (29 April 2010). "Masand's Verdict: Kabhi Alvida Naa Kehna". IBN Live. Retrieved 25 August 2014. ↑ Jha, Subhash K (13 February 2010). "Hug your neighbor, watch My Name Is Khan!". Times of India. Retrieved 25 August 2014. ↑ Nahta, Komal (19 October 2012). "STUDENT OF THE YEAR Review". Komal Nahta's Blog. Retrieved 25 August 2014. ↑ Bhattacharya, Ananya (1 December 2012). "'Student of the Year' review: Watch out for the newcomers' infectious charm!". Zee News. Retrieved 25 August 2014. ↑ Bhave, Nihit (28 October 2016). "Ae Dil Hai Mushkil Movie Review". Times of India. Retrieved 16 August 2018. ↑ "Takht is about 2 warring brothers, expect K3G of Mughal era: Karan Johar on Ranveer Singh, Kareena Kapoor film". 10 August 2018. Retrieved 30 November 2018. ↑ "Takht: Karan Johar ropes in Alia Bhatt, Ranveer Singh, Janhvi Kapoor, Kareena Kapoor and others for his next directorial". The Indian Express. 9 August 2018. Retrieved 12 August 2018. ↑ "Karan Johar on deciding against directing Kalank, Student of the Year 2, and why it's too late to be in a relationship" . Retrieved 2 December 2018. ↑ Tanwar, Sarita A (16 May 2015). "'Bombay Velvet' review: Despite earnest performances, the film somehow gets derailed". DNA India. Retrieved 26 May 2015. ↑ "Karan Johar, Rohit Shetty to judge a new talent show". DNA. Chaya Unnikrishnan. Retrieved 3 November 2017. ↑ "Karan Johar and Akshay Kumar's Battle of Saragarhi film to be titled Kesari" . Retrieved 12 October 2017. ↑ "Brahmastra: Amitabh Bachchan, Ranbir Kapoor, Alia Bhatt's new trilogy" . Retrieved 11 October 2017. ↑ Thakker, Namrata (13 November 2014). "Karan Johar's acting again!". Daily News and Analysis . Retrieved 13 November 2014. Wikimedia Commons has media related to Karan Johar .